Posted on 07/24/2017 at 1:57 pm. TAU CROSS, the multinational punk/heavy metal collective featuring Amebix bassist/frontman Rob “The Baron” Miller, Voivod drummer Michel “Away” Langevin, and members of cult crust outfits Misery and War // Plague, has announced their second full-length album, Pillar Of Fire, due out July 21st on CD, Double LP, and digital formats via Relapse Records. Pillar Of Fire was recorded across three different countries and co-produced by “The Baron” in the same manner as their eponymous debut. The drums were tracked in Montreal, guitars in Minneapolis, bass in Seattle and Minneapolis, and vocals on the Isle Of Skye in Scotland. Physical preorders and exclusive bundles are currently available via Relapse.com at THIS LOCATION. Digital preorders are available via Bandcamp HERE. Pillar Of Fire further expands the group’s unique musical approach ranging from dark folk witchery to industrial punk metal brutalism; a moody melting pot of Killing Joke’s metallic post-punk and Motörhead’s anthemic, hard rock with flourishes of traditional instrumentation and an infusion of 16th century English mysticism. 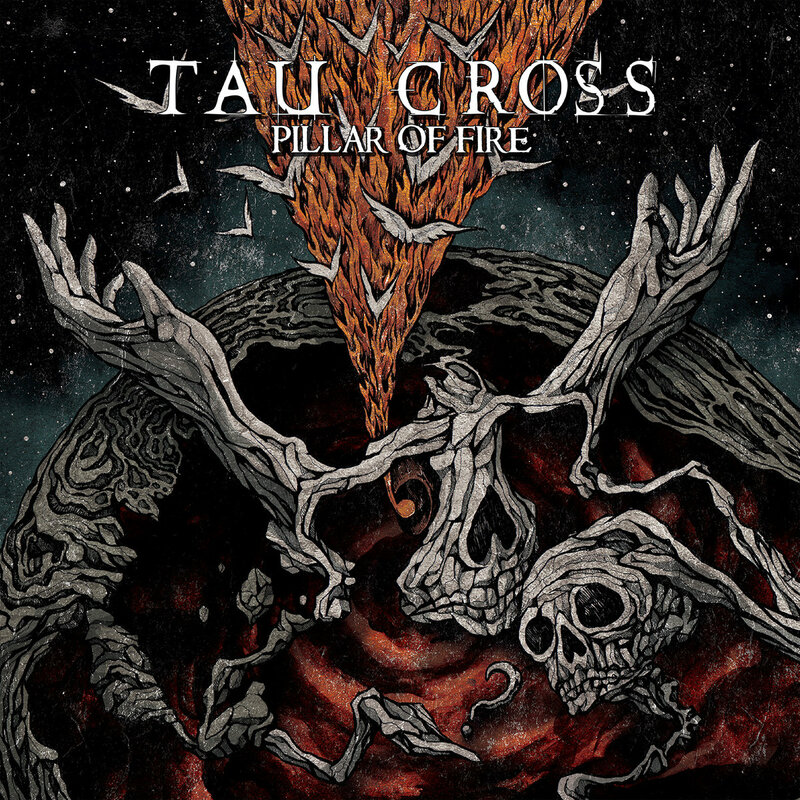 Pillar Of Fire is a musical unearthing of TAU CROSS‘ philosophical preoccupations: mythological motifs, ultra-terrestrial hypotheses, surreal, social political landscapes, and the endless search for meaning in a controlled universe.